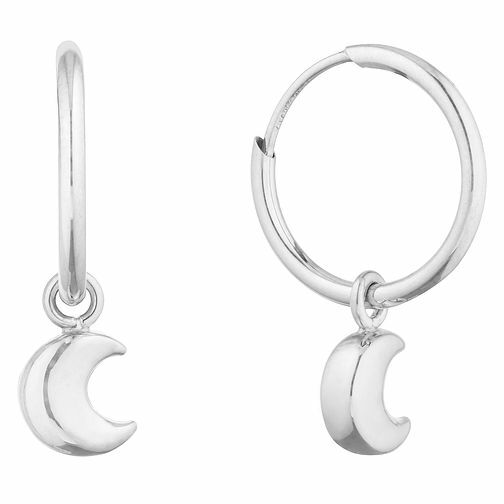 Feminine and fun, these beautiful 9ct White Gold Crescent Moon Sleepers Earrings are impossibly stylish. Crafted in sumptuous 9ct white gold in a intricate moon design. Elevate your daily look with these simply stylish stud earrings. 9ct White Gold Crescent Moon Sleepers Earrings is rated 4.0 out of 5 by 3. Rated 4 out of 5 by Anonymous from Lovely little earring These are a lovely pair of earrings, very small though so they are very fiddly to get in and do up but once in they look really nice. They did feel quite strong which is good because I was worried they would snap or bend when I tried to put them in. Rated 5 out of 5 by Anonymous from Lovely earrings These earrings are a lovely start to my daughters collection as she has only just had them done.